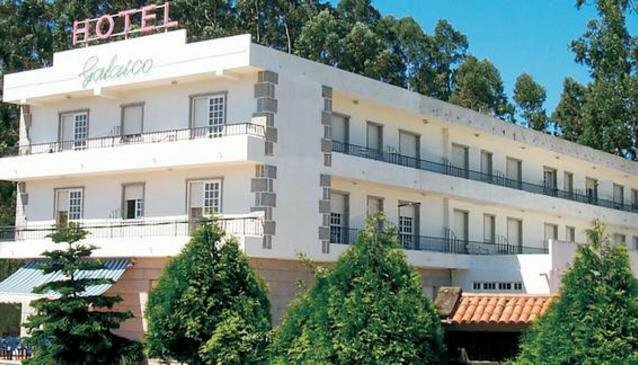 The Hotel Galaico is located in the town of Sanxenxo. The hotel offers easy access to O Grove as well as to Pontevedra. This is one of the closest hotels in Sanxenxo to the Pontevedra Estuary, which offers beautiful beaches. The Galaico Sanxenxo has good bus access to local attractions. Taxi cabs and rental cars also offer access to attractions and points of interest as well as to the Vigo International Airport. Each of the guestrooms at the Galaico Hotel Sanxenxo is climate controlled. Rooms offer desks and newspapers as well as safes and televisions. Each room also offers a private bathroom with a bath and a hair dryer. Guests of the Galaico Hotel Sanxenxo will find bars, restaurants, and shops throughout the surrounding area. The hotel offers an onsite restaurant as well as a bar. There is also a safe located onsite and the hotel offers a golf course, a pool, and a garden.